Mack McLarty has a distinguished record of business leadership and public service, including various roles advising three Presidents " Jimmy Carter, George H.W. Bush, and Bill Clinton, whom he served as White House Chief of Staff, Counselor to the President, and Special Envoy for the Americas, with more than five years of service in the President's Cabinet and on the National Economic Council. For his leadership in promoting closer inter-American partnership, he was honored with the highest civilian awards of seven Latin countries, as well as the U.S. Secretary of State's Distinguished Service Medal. 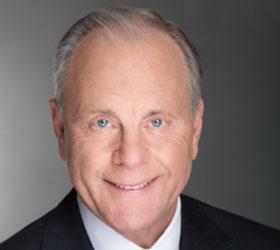 Currently, Mr. McLarty is president of the international advisory firm, McLarty Associates as well as Chairman of the McLarty Companies, a fourth-generation family transportation business. Additionally, Mr. McLarty serves as senior advisor to The Carlyle Group private equity firm and as senior advisor to the law firm Covington & Burling. With more than four decades of experience at the highest levels of both the private and public sectors – as CEO of a Fortune 500 company, chairman of a fourth generation family business, president of an international strategic advisory firm, and White House Chief of Staff – Mack McLarty brings rare breadth of perspective to the challenges of organizational management. In these remarks, he shares lessons learned that have relevance for any organization — large or small, public or privately owned, fully developed or brand new. As President Clinton’s Special Envoy for the Americas, Mack McLarty played a pivotal role in forging some of our nation’s key policies toward our closest neighbors at the close of the 20th century, from NAFTA to the Mexican peso recovery package; the Summit of the Americas to the Caribbean Basin Initiative; Plan Colombia to representing the United States at the signing of the Guatemala peace accords. Let this experienced hemispheric traveler lead you down Pan-American highways, exploring the hottest issues on the hemispheric agenda today, from trade to immigration, Mexico’s drug wars to Brazil’s emergence on the global stage, public health to private investment, and, most important, the challenges and opportunities for collaboration. With 3 percent of the world’s reserves and 5 percent of the world’s population, America consumes 25 percent of the world’s oil. Even though our energy efficiency has improved, we import twice as much oil as we did 30 years ago – at a time when global demand is poised to explode, as nations like China and India continue to race up the economic ladder. Drawing on his rare perspective as former CEO of one of our nation’s largest natural gas distributors, former White House Chief of Staff, and international business advisor and investor, Mack McLarty explains why and how our nation needs to shift its energy paradigm – and how, together, we can overcome the obstacles and seize the opportunities that lie ahead. What does the road ahead look like for America’s auto industry? Do our domestic automakers have what it takes to navigate this new landscape? What are the innovations on the horizon, in fuel efficiency, design, affordability, and distribution? What are the up-and-coming brands worldwide, and what will it mean for the global economy – and the global environment – when a rising middle class in India and China start buying cars of their own? Mack McLarty is chairman of a fourth generation family automotive business with operations in the U.S., Brazil, and China, as well as president of international strategic advisory firm, former CEO of a Fortune 500 natural gas company, and former White House Chief of Staff. Let him guide you through the twists and turns of the automotive sector’s transformation. With more than four decades of experience at the highest levels of the private and public sectors – as CEO of a Fortune 500 company, chairman of a fourth generation family business, president of an international strategic advisory firm, and White House Chief of Staff – Mack McLarty brings rare breadth of perspective to our current economic challenges and opportunities. He’ll take you on a tour of the global economic landscape, from the Americas to Asia to Europe, and offer insights on emerging economies, trade prospects, foreign investment, and what the United States and Americans must do to preserve and bolster our competitive edge in this new century.